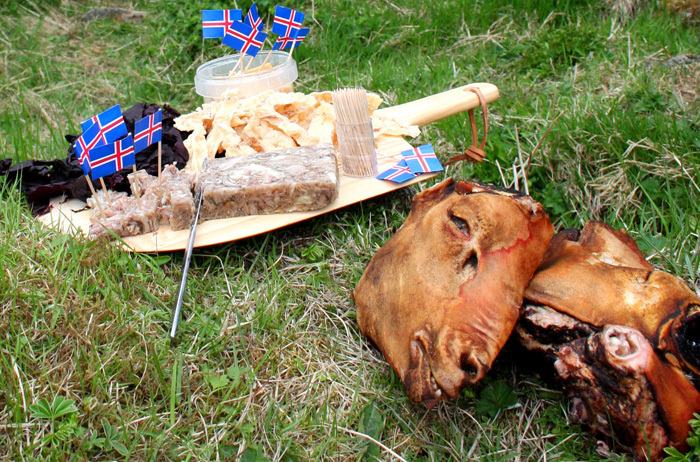 Get a taste of Iceland's history! 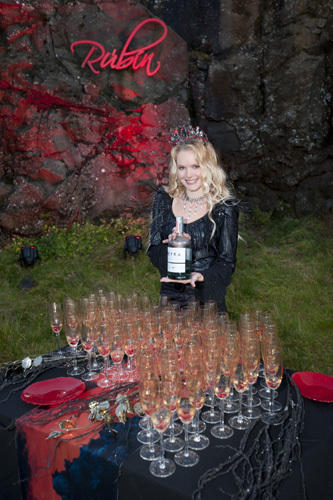 The Traditional Moment may be operated by the seaside, in a forest setting or a mysterious lava cave; the choice is yours. 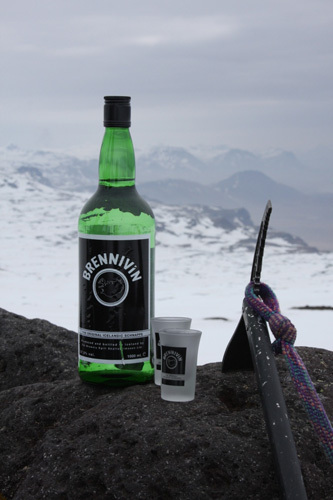 We greet your group with a shot of the local schnapps Brennivín or Black Death – made of potatoes and spiced with caraway seed and an old time favorite with the Icelanders. 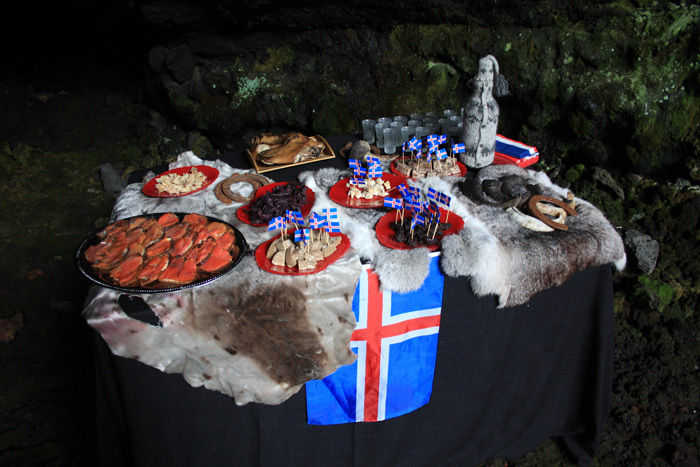 A beautifully set table laden with traditional delicacies such as singed sheep’s heads, dried cod and fermented shark is sure to challenge the taste buds and keep the moment light and fun! 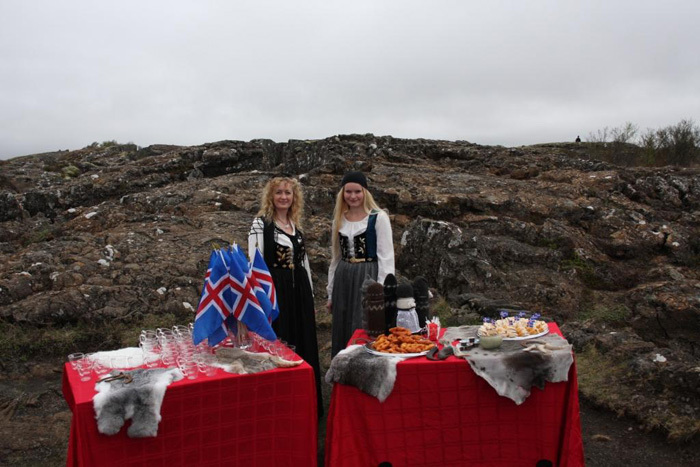 Women dressed in the Icelandic national costume serve the refreshments and explain the different foods and preparation methods. 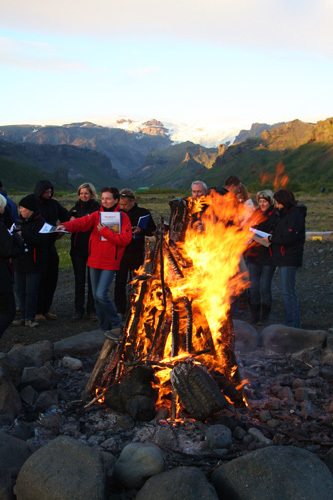 The traditional moment gives your group an insight into Iceland of old and sets a great mood!